KUALA LUMPUR, June 18 (Bernama) — Budget carrier AirAsia‘s Group Chief Executive Officer Tan Sri Tony Fernandes is upbeat on its Asean operations attaining potential growth of between 400 and 500 per cent. “Let’s assume Malaysia makes RM1 billion and we are not making that amount in other countries. If I can make RM1 billion each in Indonesia, Thailand, the Philippines and Japan, then we will go from RM1 billion to RM4 billion in total. “So, if we get it right, these countries can potentially make 400 to 500 per cent more. “The impetus is in trying to deliver profitability to the countries that the group is not generating as much as Malaysia, and I believe we can do that with the right emphasis and the right drive,” he told reporters after announcing the carrier’s new Chief Executive Officer for the Malaysian operations. He said AirAsia marked the start of its second decade with the new regional office in Jakarta, Indonesia that will be focusing on the group’s broader expansion, with more joint ventures in Asean. Fernandes said the group needs to have a wider regional outlook, considering the enormous potential of an underserved market of three billion spread across Asean, Northeast Asia and South Asia. He said with about 20 staff in Jakarta to be led by him, AirAsia Asean would provide an environment free from the pressures of day-to-day operations and the necessary “firefighting”. Asked whether it is the right time for restructuring, Fernandes said AirAsia has always benefited from the economic slowdown and it’s an ideal opportunity to grow. The group hopes the Jakarta office would enable it to tap the large domestic Indonesian market and raise AirAsia Indonesia’s profile before its listing on the Jakarta Stock Exchange by the first quarter of 2013, he said. “Actually it’s not a delay to 2013, but we are just giving a gap as we are done with Thailand and other listing, mainly AirAsia X on the local bourse that is expected to be in October or November this year,” he said. AirAsia Thailand’s recent initial public offering saw strong demand for its shares, and Fernandes said AirAsia Indonesia’s listing process is on track and progressing well. 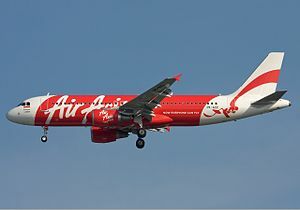 Posted by The Aseanists Time, Unmask The Truth on June 18, 2012 in The Aseanists Time and tagged AirAsia, ASEAN, Indonesia, Jakarta, Jakarta Stock Exchange, Kuala Lumpur, Malaysia, Tony Fernandes. PHNOM PENH, Cambodia, June 18 (UPI) — Cambodia may have to cede two villages to Vietnam as a compromise while officials work to demarcate borders with Vietnam and Laos, a Cambodian official said. The borders were renegotiated in 1985 but Cambodia is seeking to retain Thlok Trach and Anlung Chrey in Kampong Cham province. Va Kimhong, senior minister in charge of the Cambodian Border Affairs Committee, said the government would have to compromise to keep the two villages. The Phnom Penh Post said Va Kimhong did not specify which villages would be given to Vietnam in exchange for retaining the territory. Alleged Vietnamese encroachment on Cambodian territory stirs strong passions in Cambodia, the newspaper said. A spokesman for the opposition Sam Rainsy Party says Cambodia shouldn’t have to cede any territory, alleging the Vietnamese claim was based on an unacceptable 2005 supplementary treaty to the 1985 Treaty on Delimitation of National Boundaries between the two countries, the newspaper said. Posted by The Aseanists Time, Unmask The Truth on June 18, 2012 in The Aseanists Time and tagged Asia, Cambodia, Government, Laos, Phnom Penh, Phnom Penh Post, Vietnam. MANILA, Philippines — Consumers are protected anywhere in the entire ASEAN Region with the ASEAN member countries united to strengthen their welfare and protection efforts. Director Victorio A. Mario Dimagiba, head of Department of Trade and Industry’s Bureau of Trade Regulation and Consumer Protection (BTRCP) and the current chairman of the ASEAN Committee on Consumer Protection (ACCP), said that consumers can now file their complaint to the consumer protection agency of the country where the violation happened. “Consumers, who may be tourists or citizens, may go to the focal agency of the country they are staying in or visiting to file a complaint,” Dimagiba said. The complainant will get an action number or complaint tracking number from the focal agency to serve as his reference for tracking. The complainant may seek help from the focal agency of his/her home country to follow up the case abroad. This consumer welfare initiative by the ACCP is part of the ongoing process of economic integration towards ASEAN Economic Community in 2015, and is geared towards protecting the consumers in the ASEAN region particularly the tourists and businessmen coming from different countries by facilitating their complaints in a quick, less-hassle manner. In the Philippines, the national focal agency for consumer complaints is the DTI-Bureau of Trade Regulation and Consumer Protection (BTRCP). Foreign tourists who are staying in the Philippines can bring their complaints to this agency for immediate action. Likewise, Filipinos who are in ASEAN countries may file their consumer complaints to the national focal agency of the country they are staying in . Dimagiba advised that it is better that the complaint is filed in the country where the defective product or services was purchased. Complainants are not required to be physically present during the case hearings since the focal agency will take care of tracking the progress of the case, thus it saves them time, money and effort. In the same breath, a complainant can also follow the case while back in his/her home country, by communicating with the focal agency through email. o intensify its awareness campaign, the ASEAN Committee on Consumer Protection (ACCP) established a website (www.aseanconsumer.org) which serves as an information portal for consumer protection in the ASEAN region. One of its significant features is the directory of national focal agencies, where the consumers will click the map/flag to find out the information/contact details of the concerned focal agency, such as the location, hotline numbers, email addresses, and the website link. The ACCP website also features the latest news, product alerts, policies, and updates related to consumer protection in the ASEAN region. Aside from the website, the ACCP launched its ASEAN Consumer Complaints Leaflet, which provides information on the hotlines and contact details of national focal agencies in all ASEAN member states (Brunei Darussalam, Cambodia, Indonesia, Lao PDR, Malaysia, Myanmar, Philippines, Singapore, Thailand, and Vietnam). Dimagiba said the DTI will distribute copies of the said leaflet to hotels and airports nationwide this month of June to beef up its consumer welfare advocacy campaign. Posted by The Aseanists Time, Unmask The Truth on June 17, 2012 in The Aseanists Time and tagged ACCP, ASEAN, Brunei, Cambodia, Consumer Protection, Malaysia, Philippine, Vietnam. Cambodian foreign minister Hor Namhong meeting with US Senator Jim Webb at the Senate on Wednesday, June 13, 2012, during his official visit to the United States. Cambodian Foreign Minister Hor Namhong met with Senator Jim Webb, of Virginia, this week, to discuss how Cambodia might be forgiven war-era debt to the US or find a better way to pay it off. Hor Namhong is on a swing through the US this week, during which time he has met with US Secretary of State Hillary Clinton and other US officials. Cambodia owes nearly $450 million on pre-Khmer Rouge borrowing. Cambodian officials have said they should not have to repay the money, which was loaned to the US-backed regime of Marshall Lon Nol. It was used for the purchase of cotton, tobacco, cooking oil, flour and rice. Hor Namhong told VOA Khmer he also requested tax-exempt status on Cambodian exports to the US. “I told the senator that economic development in the past few years was due to exports to the US,” Hor Namhong said. Cambodia currently exports around $2 billion in goods to the US, while importing around $200 million in goods each year. Posted by The Aseanists Time, Unmask The Truth on June 16, 2012 in The Aseanists Time and tagged ASEAN, Cambodia, Foreign minister, Hillary Rodham Clinton, Hor Namhong, Jim Webb, Khmer Rouge, United States. PHNOM PENH, June 15 (Bernama) — Some 1,000 students from various schools and universities gathered here Friday to celebrate the 50th anniversary of the country’s victory over the Preah Vihear temple dispute with Thailand, Xinhua news agency reported. The temple was awarded to Cambodia on June 15, 1962 by the International Court of Justice (ICJ) which ruled that the temple was situated in a territory under the sovereignty of Cambodia and not Thailand. “Today’s gathering is to express our deep gratitude to former King Norodom Sihanouk for his legal battle with Thailand over the Preah Vihear temple dispute at ICJ 50 years ago,” said Soy Sopheap, director general of Deum Ampil Media Centre which organised the event. 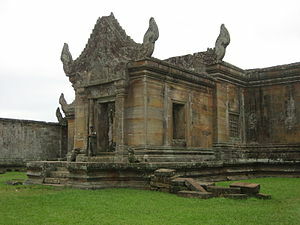 The territorial dispute between the two nations reoccurred on July 7, 2008 when Preah Vihear temple was listed as a World Heritage Site by UNESCO, but Thailand had claimed ownership of a 4.6-sq. km scrub next to the temple. The conflict had led to several occasions of deadly armed clashes since then but military tension had eased since the Pheu Thai Party led by ousted Thai Prime Minister Thaksin Shinawatra’s youngest sister Yingluck Shinawatra won a landslide victory in the general elections in last July. The 11th century Preah Vihear temple is located on the top of a 525-metre cliff in the Dangrek Mountains bordering Thailand. Posted by The Aseanists Time, Unmask The Truth on June 16, 2012 in The Aseanists Time and tagged Cambodia, International Court of Justice, Pheu Thai Party, Preah Vihear, Preah Vihear Temple, Thailand, Xinhua News Agency, Yingluck Shinawatra. Research and Markets (http://www.researchandmarkets.com/research/cl8jr6/4q11_cambodia_mobi) has announced the addition of IE Market Research Corp’s new report “4Q11 Cambodia Mobile Operator Forecast, 2012 – 2015: Cambodia to have 19.8 million mobile subscriber connections in 2015″ to their offering. Mobile Operator Forecast on Cambodia provides key operational and financial metrics for Cambodia’s wireless market and is one of the best forecasts in the industry. It provides forecasts at the operator level going out to 2015. It also provides quarterly historical and forecast data starting in 1Q2003 and ending in 4Q2013. Cambodia Mobile Operator Forecast is based on proprietary, country-specific forecasting models. These models deploy multiple regression analysis and cross-impact matrices that estimate relationships between subscriber data, technology use and deployment data, overall economic and demographic changes expected in a particular country; and relate these to company operational and financial metrics. Annual Results & Forecasts for each of the above operators are covered in this report for: CY 2001-CY 2015. Quarterly Results & Forecasts are covered for: March 2003 – December 2013. Posted by The Aseanists Time, Unmask The Truth on June 16, 2012 in The Aseanists Time and tagged Asia, Cambodia, Cambodia Mobile Operator Forecast, CamGSM, Latelz, Phnom Penh, Southeast Asia, Travel and Tourism. Member nations’ interests are so diverse that a unified response to Beijing’s claims in the South China Sea is proving impossible. Since the tense naval standoff between the Philippines and China over ownership of the Scarborough Shoal erupted on April 10, the lack of support for Manila from the Association of Southeast Asian Nations (Asean) has been striking. Not only has Asean failed to close ranks behind one of its members, there hasn’t been a peep out of the organization on the dispute—one of the most serious in the South China Sea since the mid-1990s. Asean’s deafening silence is disappointing, but not surprising. The member states are divided on how best to deal with the problem due to differing national interests, including the value they place on their relationships with China. The result is a lack of cohesion and inaction. The central fault line within Asean is between members who have significant economic and strategic interests in the South China Sea and those who do not. The first group, the littoral states, is composed of the four Asean members who make territorial claims in the South China Sea—Brunei, Malaysia, the Philippines and Vietnam—as well as Indonesia and Singapore. Even within the littorals, opinions are divided. For Vietnam and the Philippines, their disputes with China over sovereignty of the Spratly Islands and other atolls have become major national security concerns and have driven their recent military modernization programs. Malaysia and Brunei, on the other hand, enjoy the luxury of distance from China and have tended to downplay the dispute. Moreover, the claims of Vietnam, the Philippines, Malaysia and Brunei overlap, preventing the four countries from presenting a united front. Then there are Indonesia and Singapore, who make no territorial claims in the South China Sea, but are alarmed at Beijing’s expansive claims. Indonesia has formally challenged China’s claims at the United Nations, while Singapore has called on China to clarify them. 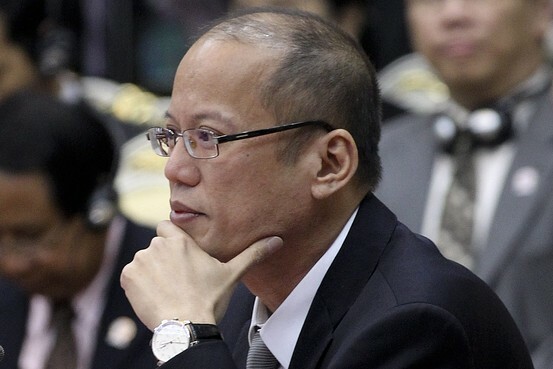 European Pressphoto Agency President Benigno Aquino of the Philippines. The second group, the non-littorals, comprises Cambodia, Laos, Burma and Thailand, and they have been noticeably silent about the South China Sea issue. They do not see themselves as having a direct stake in the dispute and do not consider the Spratlys to be a pressing concern. Plus, over the past two decades China has cultivated close political, economic and security ties with these four countries, which their governments do not want to risk damaging by taking positions against Beijing. Cambodia has been particularly keen to avoid upsetting China. As chair of Asean, this year it proposed keeping the dispute off the organization’s formal agenda. And at a summit meeting in April, Cambodia argued that China should be involved in drafting a binding code of conduct with Asean from the beginning of any conflict resolution management process. Both positions put it firmly at odds with Vietnam and the Philippines. Asean does at least have a bottom-line consensus on the South China Sea: The dispute should be resolved peacefully in accordance with international law and without recourse to force. The organization has also stated that Also, member states and China should pursue confidence-building measures to lower tensions. But beyond this basic statement, differing national perspectives make agreement on how to deal with China, manage the dispute and seek resolution problematic. These difficulties were brought into sharp relief last year when the Philippines proposed transforming the South China Sea into a Zone of Peace, Freedom, Friendship and Cooperation, or ZoPFFC. Manila’s plan was to “enclave” the Spratlys as a disputed area, demilitarize the atolls and then establish a multilateral development agency to jointly manage maritime resources. The imaginative initiative, however, was a nonstarter. China flatly rejected it on the familiar grounds that the dispute is a bilateral problem that requires a bilateral solution. But the idea could have still gained some traction had other Asean members supported it, but only Vietnam did. As a matter of policy, Asean does not take a position on the competing claims of its members, nor those of China. To “segregate” the South China Sea into disputed and non-disputed areas, however, Asean would have to come out against China’s claims—which is unacceptable to some members. For all intents and purposes, the ZoPFFC is now dead in the water. Lack of support from within Asean has then led Hanoi and Manila to pursue additional strategies, including closer defense links with Washington. Debate over the role the U.S. should play in the South China Sea dispute exacerbates the divisions within Asean. Some members are concerned that a more proactive role by Washington will simply antagonize China and complicate the search for a resolution. The South China Sea dispute has moved to the top of Asia’s security agenda. Tensions are likely to increase as competition for oil and gas intensifies and the militarization of the dispute continues apace. Yet the compromises necessary to achieve a negotiated settlement are out of reach, as the claimants have moved to strengthen their jurisdictional claims. With tensions rising, the weight of expectations on Asean to become proactive and articulate solutions to the dispute will only become heavier. Regrettably, recent events show Asean cannot live up to those expectations and, on current trends, will allow Beijing to pick off individual members. Mr. Storey is a senior fellow at the Institute of Southeast Asian Studies, Singapore. He is the author of “Southeast Asia and the Rise of China: The Search for Security” (Routledge, 2011). Posted by The Aseanists Time, Unmask The Truth on June 15, 2012 in The Aseanists Time and tagged ASEAN, Cambodia, China, Philippine, Scarborough Shoal, South China Sea, Spratly Island, Vietnam. 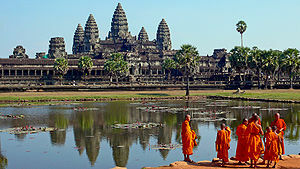 HNOM PENH, Cambodia — Cambodia is banning smoking at the Angkor temple archaeological site. A government official said Thursday the rule will promote the health and comfort of visitors and prevent forest fires. Tan Sambu said “No smoking” signs will be added and workers will help spread the word under the effort started Wednesday. He is vice secretary general of the Apsara Authority that manages the temples. More than 2 million foreign and domestic tourists visit the site in Siem Reap in the country’s northwest annually. The structures were built from the ninth to the 14th century. Posted by The Aseanists Time, Unmask The Truth on June 15, 2012 in The Aseanists Time and tagged Angkor, Angkor Wat, APSARA, Apsara Authority, Asia, Cambodia, Maps and Views, Siem Reap. In achieving the ASEAN Economic Community (AEC) by 2015, ASEAN was in a very sweet spot geographically, and that the rise of Asia was inevitable and was a reversion of an 800-year norm, chief executive of CIMB Group, the indigenous ASEAN investment bank, Nazir Razak said yesterday. “There will be bumps along the road. The integration of ASEAN will bring winners and losers. The winners will be loud and there will be people who will not be happy. We will need the political will to carry on with this. It is after all the coming together of over 600 million people,” said Nazir. The AEC emanates from the vision of the ASEAN leaders to transform the region into a single market and production base that is highly competitive and fully integrated into the global community by 2015. Nazir said that there was currently no ASEAN banking framework (ABF), and it was imperative to have one soon. Earlier on, there had been uncertainties on whether CIMB would need to reduce its holdings in Indonesian bank Bank Niaga, in which it owns 97.9 per cent. However recently, reports have indicated that Indonesia‘s central bank has planned to limit single ownership in its banks to 40 per cent, but only for new investments. “To reduce our stake in Indonesia would not have been right. That is why it is imperative to have the ABF soon. The ABF fuels banking and trade. In fact, the ABF should have been around five years ago. It’s better to have it late than never,” said Nazir. Nazir added that CIMB had submitted an application for a stock broking license in South Korea. If it were to get the license, growth in South Korea would be more organic, and to support its Asia-Pacific platform. CIMB will not be making anymore material acquisitions for the time being. Since CIMB’s acquisition of the Royal Bank of Scotland‘s (RBS) cash equities and associated investment banking businesses for 849.4 million ringgit (US$266.81), CIMB Investment Bank has become the largest Asia-Pacific based investment bank. Nazir said that he was very enthusiastic with the synergies that would be created with the combined entity of CIMB and RBS. “We have had 331 staff from RBS accept our offer. So now we will have some 360 RBS staff. Synergies aside, it is also about the business as usual. Because of what has happened to them, some of RBS’ businesses need to be revived,” Nazir said. CIMB is also reviewing the RBS Morgan joint venture, in which RBS holds a 33.3 per cent stake. RBS Morgan has a staff strength of about 600 people over 200 outlets in Australia. “We have met with the management team in Morgan and we are in negotiations. There is no specific timeline,” said Nazir. Posted by The Aseanists Time, Unmask The Truth on June 14, 2012 in The Aseanists Time and tagged ASEAN, Asia, Asia-Pacific, CIMB, Indonesia, Nazir Razak, Royal Bank of Scotland, South Korea.